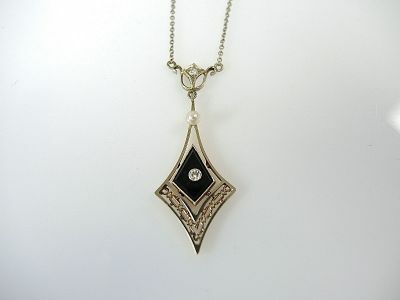 One 14 karat white gold art deco necklace. One kite-shaped onyx piece. Two old European cut dimaonds (0.09 carats: VS clarity: H-I colour). One cultured pearl.